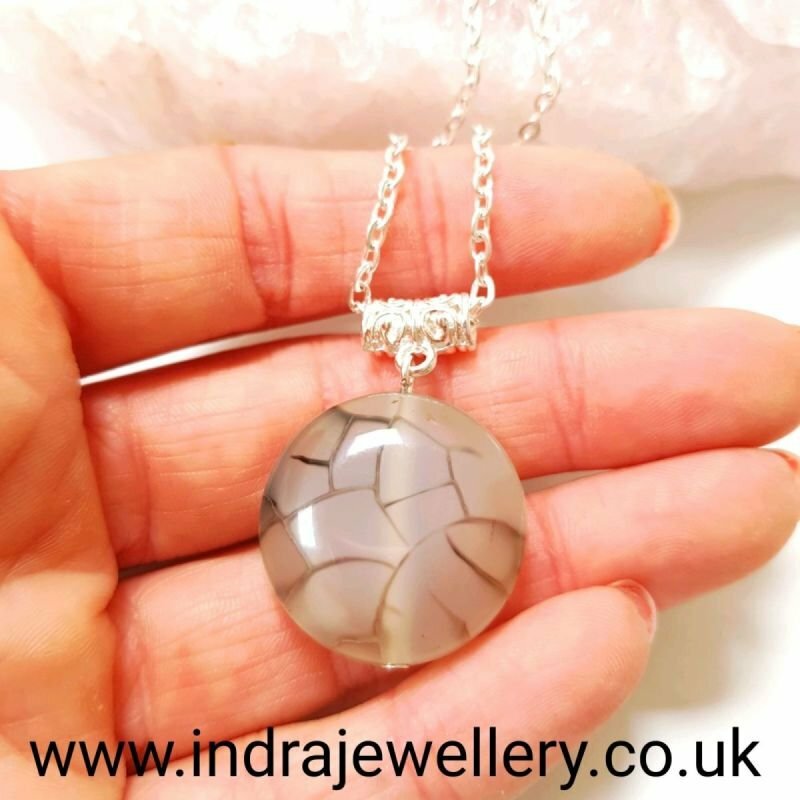 This is a gorgeous and unusual necklace which is a disc shaped onyx. The onyx is clear with some incredible veins running through it which are darker in appearance giving this stone a fabulously unique finish! I have attached the onyx to a silver plated bail and added a 16" silver plated chain.